AppStudio 7 brings Validation to your projects. Now it’s easy to check the validity of fields on your form. 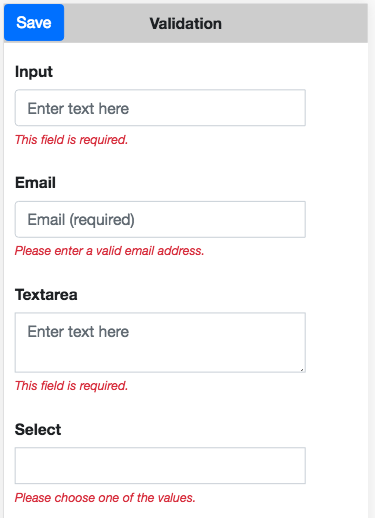 If a field is invalid, a message in red appears next to the field. Validation doesn’t kick in until you ask it to validate the form. This lets the operator input data undisturbed. As fields are corrected, the error messages disappear. Validation should work on controls from all frameworks. Next PostNext AppStudio 7.0.3 released!